DOCTOR COMPÁS™ is a unique flamenco metronome that NEVER plays the same sample twice in a row, AND simulates improvised palmas and cajón with incredible precision and musicality for ALL flamenco palos at any tempo you choose. Brought to you by Maissam Barkeshli and Jason McGuire "El Rubio," Doctor Compás™ is an easy to use practice tool to improve your flamenco rhythmic skills. 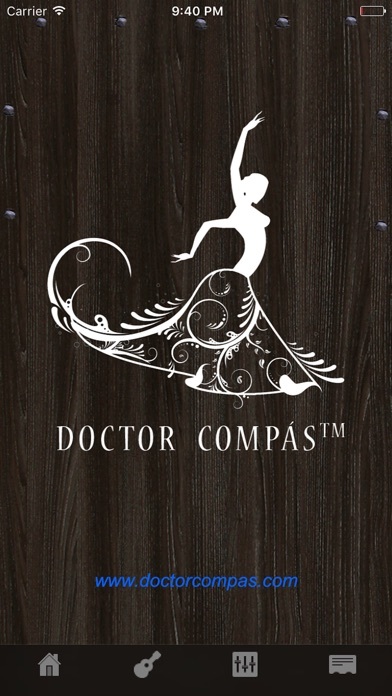 Whether you are a guitarist, dancer or singer, student or professional, Doctor Compás™ can improve your rhythmic accuracy and sense of soniqueté. 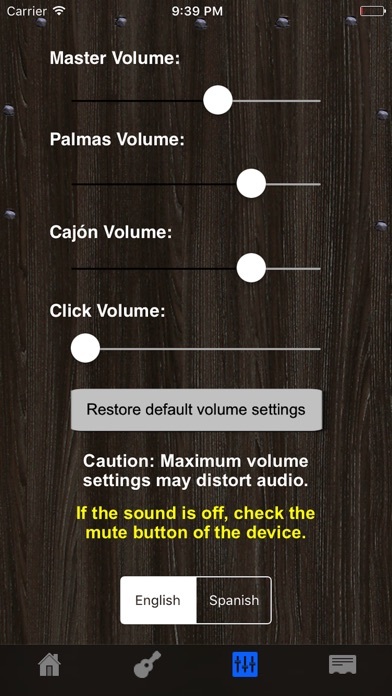 Install on your iPhone, plug into a sound system or earphones, hit the start button and play, sing or dance along. The free version provided here includes unlimited access to Tangos, and other palos play for 30 seconds. To purchase the unlimited version of Doctor Compás, first download the free version and then upgrade to the full version from within the application. 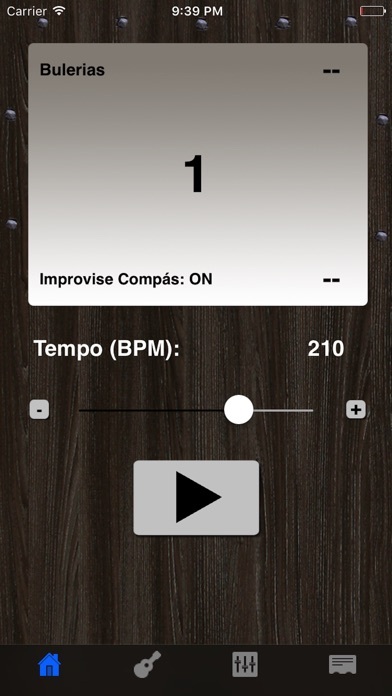 Excellent app for practicing compas without getting bored to tears with metronomes with no variations. I love the improvise mode. The UI is a little awkward but it's still much easier to use than any of the other flamenco metronomes I've tried before. Now for the gripes: 1. On my iPhone 4s, the app often crashes on start several times before it successfully starts. Once it's going it seems to be ok. 2. I bought the in app upgrade to full version on my iPhone but it won't transfer correctly to my iPad (it still prompts me to make the in app purchase after 30 seconds in palos besides Tangos). I tried to contact them for support but there is no contact info available from iTunes or their web site. The In-App purchase is not cheap ($20 US) so lack of support contact information is unforgivable. (Hopefully that was just an oversight.) Bottom line, great effort out of the gate. 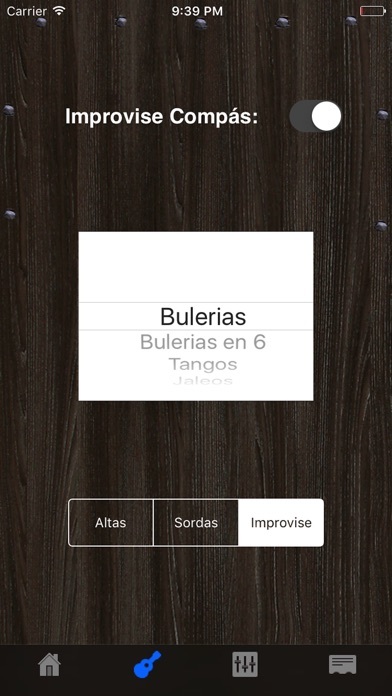 Easily the best flamenco metronome i've encountered so far… but it still has room for improvement… and hopefully I can get this working on my iPad soon.